The Nigerian government has, through the Minister of Mines and Steel Development, Kayode Fayemi, been mediating in a multi-million deal that apparently violates a Supreme Court ruling, PREMIUM TIMES has learnt. The deal is to get a Nigerian-American firm, BFI Group, to surrender to a Russian firm, UC RUSAL, its win of the 2004 bid for the multi-billion Aluminium Smelter Company of Nigeria, ALSCON. BFIG has, however, rejected a $35 million offer to forfeit its legal rights after meetings by all parties. The firm also communicated its position to both the Bureau for Public Enterprises, BPE and the National Council on Privatization, NCP. Its Chairman/Chief Executive, Reuben Jaja, accused Mr. Fayemi of compromising his office by ”continuously jumping in bed with the Russians to subvert rule of law, in defiance of two subsisting Supreme Court rulings” pending federal government’s implementation on the matter. The spokesperson to the minister, Yinka Oyebode, in response to PREMIUM TIMES’ inquiry on Thursday, not only denied knowledge of the deal, but also exonerated his boss. “I don’t think my ‘Oga’ will be part of that kind of deal. The much interest I know he has is to resolve this issue. I don’t think he will sit down with anybody to ask anybody to pay off anybody or stuff like that. This idea of somebody offering anybody money, I don’t think he will be involved in it,” Mr. Oyebode said on telephone. He, however, said he would not comment further, as the minister was outside the country attending the United Nations General Assembly in New York. PREMIUM TIMES also sent emails to both the minister’s official and private mails as well as text messages to his known telephone lines requesting his reaction. He was yet to respond to any of the messages at the time of publication of this story. In 2004, UC RUSAL had lost out in the bid to acquire ALSCON after it was disqualified by the NCP, for violating bid guidelines. Although BFIG was later declared the winner of the bid with a $410 million offer, the BPE later cancelled the results in controversial circumstances. 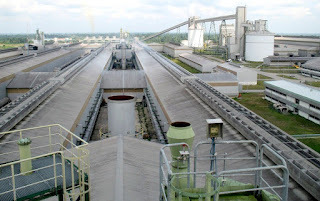 BPE later reinstated UC RUSAL and handed over the plant to it in 2006 on the orders of then President, Olusegun Obasanjo, triggering a protracted legal battle that dragged till July 6, 2012 when the Supreme Court ruled in favour of BFIG as the recognised winner of the bid and owner of ALSCON. On July 11, 2016, the apex court reaffirmed its ruling through a unanimous verdict dismissing for lack of merit an application by UC RUSAL on November 4, 2015, seeking a review and vacation of the previous judgment. In each of the two separate rulings, the Supreme Court ordered the federal government, through its agencies – BPE and NCP, to invite BFIG and negotiate a mutually agreed share purchase agreement, SPA, with a view to handing over ALSCON to the rightful winner. Curiously, in April 2017, in apparent in defiance of the Supreme Court directives, Mr. Fayemi visited ALSCON and was received by UC RUSAL’s managing director, Dimitriy Zaviyalov, whom he promised to work with to reactivate the plant. During the visit, the minister also assured the Russians of the federal government’s commitment to “encourage the Supreme Court to expedite action on the ruling,” and to “free the complex of any encumbrances,” in a move that appeared ignorant of the fact that the apex court already ruled twice on the matter. However, ahead of the first meeting of the reconstituted NCP scheduled for September 26 in Abuja, Mr. Jaja has again accused Mr. Fayemi as the unseen hand behind UC RUSAL’s latest clandestine plot to hijack the ALSCON ownership in defiance of rule of law and subsisting Supreme Court orders in favour of BFIG. To get BFIG to accept to participate in the out-of-court settlement deal, PREMIUM TIMES investigations revealed on Wednesday that Mr. Fayemi reportedly asked his kinsman from Ekiti State, Wole Olanipekun, whom he believed could influence BFIG, to be involved. Mr. Olanipekun has been a long-standing counsel to the consortium throughout its legal tussle to reclaim ALSCON. 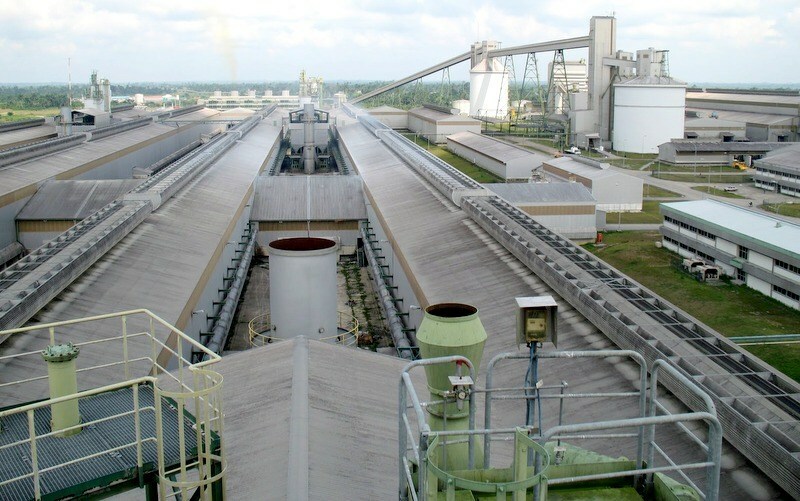 Consequently, the minister, along with BPE Director-General, Alex Okoh, and other officials, held a secret meeting on August 21 with UC RUSAL agents, Danba & Associates Limited, led by its Chairman/CEO, Saadina Dantata, to compel BFIG to accept an offer for the relinquishment of its legal rights guaranteed by Supreme Court ruling of July 6, 2012. Earlier, UC RUSAL had written to BPE to confirm its appointment of Mr. Dantata as its representative and leader of delegation for negotiations in the disputes over the ownership of ALSCON. It was gathered that at a meeting brokered by Mr. Fayemi and attended by BPE DG, an initial $30 million offer was tabled by Mr. Dantata on behalf of UC RUSAL payable to BFIG over 20 years, after agreeing to sign off all settlement agreements to terminate all outstanding legal cases in court in relation to the deal to acquire ALSCON. A source close to the meeting said BFIG officials had made their stance known clearly that they were not interested in the offer, insisting on the minister to rather advise the federal government to uphold rule of law by implementing the pending Supreme Court orders in their favour. Also, the company (BFIG) in turn offered to refund to UC RUSAL the $130 million the Russians said they paid to BPE when ALSCON was handed over to them in 2006. The source, who asked not to be named, because of the sensitivity of the matter, said the Russians rejected the proposal and demanded that BFIG paid to them additional $550 million instead. The source said Mr. Fayemi was so incensed with BFIG’s rejection of the offer that he threatened to invoke government’s powers to revoke the entire ALSCON sale transaction if by the next meeting they refused to change their mind. Although BFIG officials were said to have been absent, it was gathered that the outcome of the meeting was later sent to BFIG through BPE on September 13, 2017. But, in a written formal response dated September 18, 2017 and addressed to the BPE Director-General, copy of which was obtained exclusively by PREMIUM TIMES, BFIG reaffirmed its earlier rejection of the offer by UC RUSAL representatives. The company described the offer as not only insulting and denigrating, but also an attempt to lure it into becoming complicit in a violation of the U.S. anti-corruption law. “We continuously maintain the belief that our acceptance of the offer can be interpreted as our direct or indirect assistance for a person to secure an improper advantage in a business transaction”, BFIG General Counsel, Jimmie Williams, said in the letter. “This acceptance (means) our relinquishment of the binding 6 July 2012 Supreme Court judgment and the discarding of our legal rights, can be viewed as making us complicit in a violation of the United States Foreign Corrupt Practices Act of 1977, 15 U.S.C,” he added. Copies of the response, which were sent to both the Vice President, Yemi Osinbajo, who is the NCP Chairman, and Mr. Fayemi, reiterated BFIG’s readiness and willingness to commence the initial takeover inspection of ALSCON aborted unilaterally at the last minute by BPE in 2012. The inspection visit approved by the NCP at its sixth meeting in November 2012 was part of the process to finalise the mutually agreed SPA towards the takeover of ALSCON. The visit was to enable BFIG conduct a complete site, engineering, technical, environmental, management and financial review of ALSCON to determine the final price following the Supreme Court ruling. The group is said to have consistently advised the federal government to explore other ways of resolving the ownership impasse in ALSCON outside the rulings of the Supreme Court which ordered that the plant be handed over to BFIG. The outcome of the failed deal, which the official said was part of the scheming, was expected to be presented by Mr. Fayemi at the NCP meeting scheduled for Tuesday ostensibly as a way of resolving the lingering ALSCON sale logjam. All the officials linked to the failed deal refused to respond to calls by PREMIUM TIMES on Friday seeking their reactions. Mr. Dantata of Danba Associates did not pick calls to his telephones lines, while a text message was not responded to. Equally, an email to the firm’s official email addressinfo@danbanigeria.com returned undelivered. An email to Elena Morenko, Head of International Communications, UC RUSAL, seeking confirmation to the deal and the appointment of Mr. Dantata as the company’s representative, was not responded to at the time of publishing this report. Besides, Mr. Okoh of BPE neither answered calls to his telephone, nor responded to a text message and email sent to him. The NCP meeting would be coinciding with the date the Federal High Court, Abuja is also scheduled to deliver judgment in a $2.8 billion suit filed in 2013 by BFIG against UC RUSAL for its undue interference and conspiracy to frustrate its acquisition of ALSCON. “How would anybody in his right senses think BFIG would invest billions of dollars of private resources in an attempt to acquire ALSCON and use to contribute to the development of the impoverished Niger Delta people, only for it to be subjected to over 13 years of legal battles traversing all levels of courts in Nigeria and abroad, then accept to trade all that off for a mess of $35 million?” Mr. Jaja asked. A 2011 financial report on ALSCON prepared by KPMG had revealed massive asset strippingof the plant allegedly perpetrated by UC RUSAL since 2006 when the plant was handed over to it by BPE. The report showed how the $3.2 billion plant, valued at over $1.1 billion in 2004 when the bid was held, and $1.03 billion when UC RUSAL took over in 2006, dropped in asset value to less than $73 million by 2012 when the Supreme Court sacked the Russians from the plant.